For your convenience, the City of Escondido provides access to City Council meetings in several different formats. Escondido City Council meetings are aired live on Wednesdays at 4:30 p.m. on Cox Communications Channel 19 (Escondido ONLY) and AT&T U-verse Channel 99. 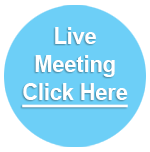 Meetings are also available via the Internet through live video streaming, which can be accessed through this page. NOTE: If there is a meeting in session, a "Live Streaming – City Council Meeting now in progress" button will display below. Simply click the button to watch the meeting. If there is no City Council meeting currently in session, live video streaming will not be available. Please check the City Hall Calendar for the next scheduled meeting date and time. Re-broadcasts of the meetings are aired on Sunday and Monday nights at 6:00 p.m. on Cox Communications Channel 19 and AT&T U-Verse Ch. 99. 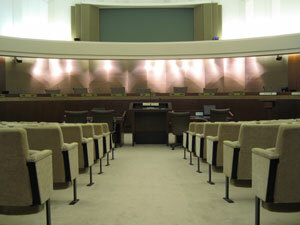 Meetings are also archived and available for viewing online in our City Council Video Library. Viewing options include watching the entire meeting or selected agenda items. DVDs of the meetings are available for purchase or viewing by contacting the Audio-Video Division at 760-839-4693.